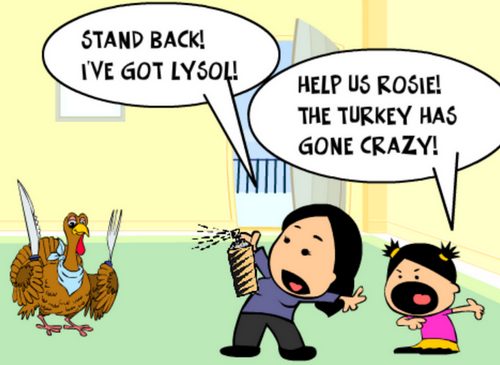 Happy Thanksgiving from Rosie’s Cleaning Service! As your Santa Barbara cleaning experts the cleaning professionals at Rosie’s Cleaning Service know how harried the holiday season can be. You have to buy and prepare all that food, entertain your guests, buy gifts, and maybe even make travel plans. Who has time to clean the house before the guests arrive, or the energy to clean it up after the big feast? Our family-owned and operated, local cleaning service is here and ready to help. We provide Santa Barbara cleaning services that are fast, affordable, efficient, and professional to the Santa Barbara community and surrounding areas, including Santa Ynez, Solvang, Buellton, Goleta, Los Olivos, Montecito, Summerland, Carpinteria, Oxnard, Camarillo and Ventura. Our professional maid service team will always arrive at your home with all the necessary cleaning supplies, training and equipment. Keep our cleaning experts in mind for all your holiday cleaning and entertaining needs. Our Santa Barbara maid service is available for residential cleaning, commercial cleaning, food preparation and service, and party cleaning service. 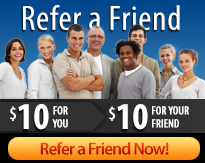 Call us now at 805-698-3132 for a quick quote on Santa Barbara maid service. 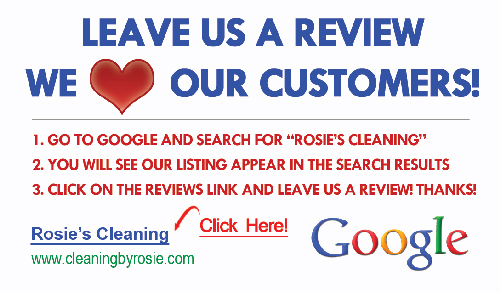 When your home needs a place lift, contact Rosie’s Cleaning Service! Minimize the kitchen clutter: You will have enough going on in there without all those extra knick-knacks and decorating accessories taking up valuable space. Do a clean sweep before the turkey cooking begins, and temporarily remove anything that is not crucial to getting the job done. Get the refrigerator ready: You will be putting a lot of leftovers in your refrigerator, so make sure there is plenty of room. Go through it now and get rid of anything that is old or questionable. Line everything: Line whatever pots and pans you can with aluminum foil to lessen the amount of clean-up required after cooking. Cook your turkey in one of the large disposable bags that can be tossed out afterwards. Double line your kitchen garbage containers so there is no leakage and bags won’t tear. Concentrate on company areas: If you are pressed for time, your whole house doesn’t need to be company-ready. Concentrate on the areas your guests will see first, and do the rest as best you can. Clean as you go: Don’t accumulate the cleaning work for after dinner. Try to wash dishes or run the dishwasher as you are working on the meal. Keep the counters clean and wipe up any floor spills immediately. Anything that dries on will only make your life harder later. Quick dish clean-up: Have a scraping and soaking area away from the main cooking area where helpful guests can do some of the preliminary dish cleaning tasks. Soak all pots and pans with cooked-on food in a mixture of warm water and dish detergent. You can even use a tote, clean garbage can or cooler as a soaking area for larger items. Minimize distractions: Make a list of what needs to be done and concentrate only on that. Don’t let yourself get sidetracked. Don’t move things individually from room to room. Put them in a nearby box and redistribute when you have time. 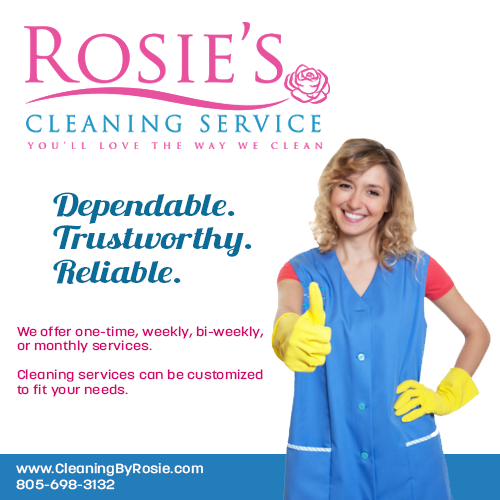 Call Rosie’s and let us help get your house ready for Thanksgiving, or ask about our after party cleaning service to make the job even easier and faster for you! Q: I have some specific cleaning needs for Thanksgiving and the upcoming holidays. Can you create a custom cleaning plan for me? A: Rosie’s Cleaning Service is happy to work with your special needs to develop the perfect cleaning routine. Q: Our house renovation will be completed right before the holidays. I’m concerned about the mess. Can you help? A: Ask about our post-construction clean-up service, and let us do the work while you concentrate on enjoying your holidays! Q: Some people expressed an interest in renting our vacation home for the holidays, but it hasn’t been cleaned since we closed it in September. What should we do? A: Sign the contract and contact Rosie’s about our vacation rental clean-up service. You take care of your home here and we will make sure your vacation rental home is clean and sparkling! 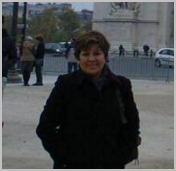 Q: Between kids, school, work and running around, I have fallen way behind on the housework. Can you help me get the house in shape before it really gets crazy around here? A: What you need is our Deluxe Cleaning Plan, an upgraded cleaning package that includes additional services for a thorough cleaning. 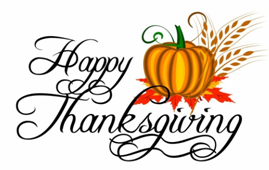 Enjoy these Thanksgiving events in Santa Barbara while you leave your home cleaning worries to Rosie! White Lotus Thanksgiving Yoga Retreat: Friday, November 27 through Sunday, November 29. Sponsored by the White Lotus Foundation of Santa Barbara. Great new twists on Yoga practice, fabulous food, gratitude and rejuvenation, and the magic of Taklushmon Canyon. Relax, restore, and reinvigorate as you share yoga with kindred spirits, indulge in healthy food, and feel thankful that taking care of yourself is a conscious choice. Donation $650. Julefest Tree Lighting Ceremony: December 4, 5-6:30pm at Solvang Park. Sponsored by the Solvang Conference & Visitors Bureau. Enjoy Christmas music and dancing ballerinas and tap dancers performing along with the tree lighting at the opening Julefest ceremony.